Watson Brings Funky British High Street Brand Superdrug to Singapore! Launch of Superdrug Vitamins Range, This is in Watsons Singapore and they are having a promotion now at Marina Square watsons! all at unbeatable prices ranging from $9.90- $14.90 and this week they having a one for one promotion. GRAB them now and while stock lasts! This British High Street Brand Superdrug is part of A.S Watson Group and is now exclusively available at selected watsons stores in singapore. If it’s a challenge to swallow your pills, then try Superdrug Chewable Vitamin C! Vitamin C helps protect the body’s tissues against cell damage caused by harmful free radicals, while maintaining the body’s natural defence mechanism and promoting healthy skin. Suitable for both vegetarians and vegans, this chewable supplement is recommended to be taken once daily. Taste fruity and easy to consume 🙂 i love it! As we age, our bones lose density, hence it is important to take calcium supplements. 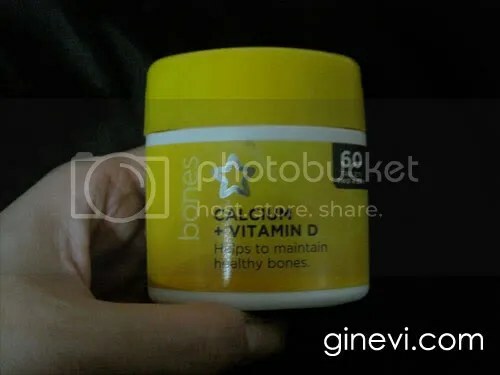 Superdrug Calcium + Vitamin D contains Calcium and Vitamin D which strengthen each other to improve bone health. Vitamin D helps the body absorb calcium from foods like eggs, milk and cod liver oil. Suitable for vegetarians, this supplement is recommended to be taken twice a day. If you are looking to maintain supple and healthy joints, then Superdrug High Strength Glucosamine Sulphate is a choice for you! 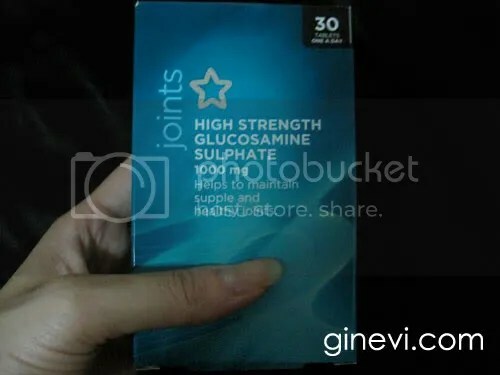 Glucosamine in the form of Glucosamine Sulphate is a key building block of connective tissues that is found in the human body and plays an important role in the maintenance of joints and cartilage. The high strength supplement is enriched with shellfish. Simply take one tablet a day to stimulate repair in worn-out joints! If you’re over 50, do not fret! 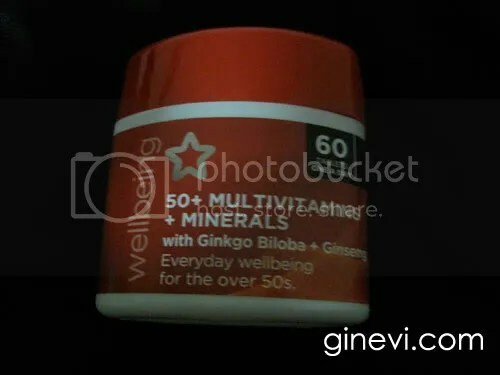 Opt for Superdrug 50+ Multivitamins + Minerals with Gingko Biloba + Ginseng! A daily multivitamin supplement can provide all the micronutrients that individuals aren’t getting in their daily food intake. 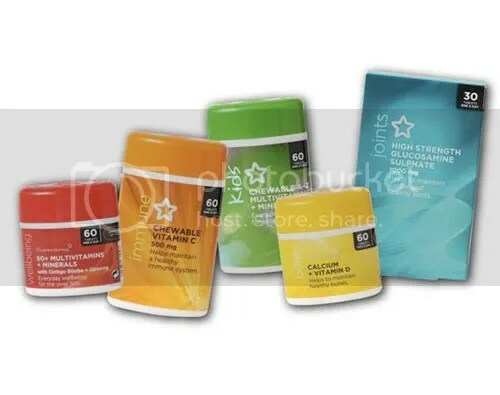 Suitable for both carnivores and vegetarians, this multivitamins, minerals and herbal extract formulation contains 23 nutrients for the maintenance of vitality and general well being. For everyday well being, take one tablet a day. The kids are not left out too! 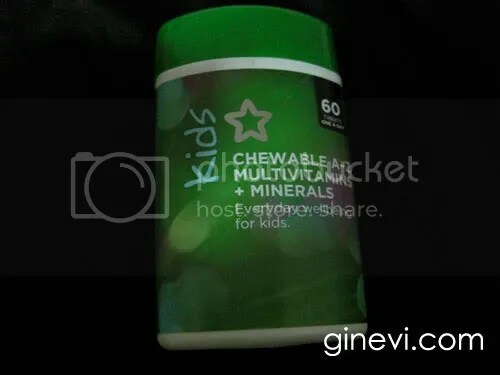 Superdrug Kids’ Chewable A-Z Multivitamins + Minerals Food Supplement are orange flavoured chewable tablets specially formulated to provide a balance of multivitamins and minerals to help maintain good health and nutritional balance. Recommended dosage is one pill a day. Taste fruity and GREAT for your kids! With its all-encompassing series, there is bound to be something for everyone from the holistic Superdrug Vitamins Range. Get the right balanced nutrition to maintain healthy beautiful skin and proper body functioning today! Superdrug is exclusively available at selected Watsons Personal Care Stores including Anchorpoint, Bugis Junction, Bukit Panjang Plaza, Clementi Mall, Compass Point, Eastpoint, ION Orchard, Junction 8, Jurong Point, Marina Square, NEX, Northpoint, Parkway Parade, Raffles City, Rail Mall, Suntec City Mall, Tampines Mall, Tiong Bahru Plaza, Toa Payoh HDB Hub (Blk 190), United Square, Vivocity and many more. Thank you Watson Singapore for introducing and sharing this information to my readers. And Yes i will definately get it for my daily consumption! May I know if there is any Watson store in Singapore carrying the Superdrug Vitamin Cleanser and Eye Make-up remover? so sorry not at the moment.